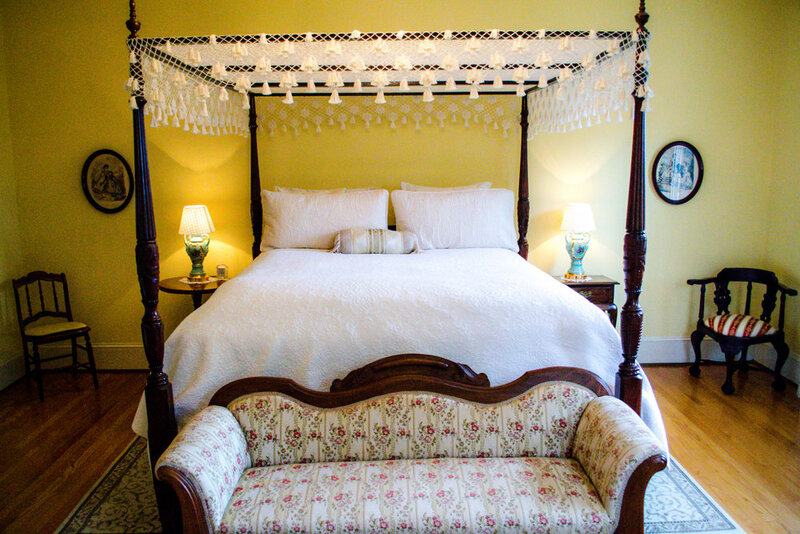 All seven guest rooms at Hill Crest Bed & Breakfast offer beautiful, private historic or spa retreat bathrooms. Our beds feature feather down pillow top mattresses and fine, luxury linens. A daily gourmet three- to five-course silver service breakfast; afternoon wine, cheese and sweet service. Nightly turn-down service with night cap and chocolates are included with every reservation. 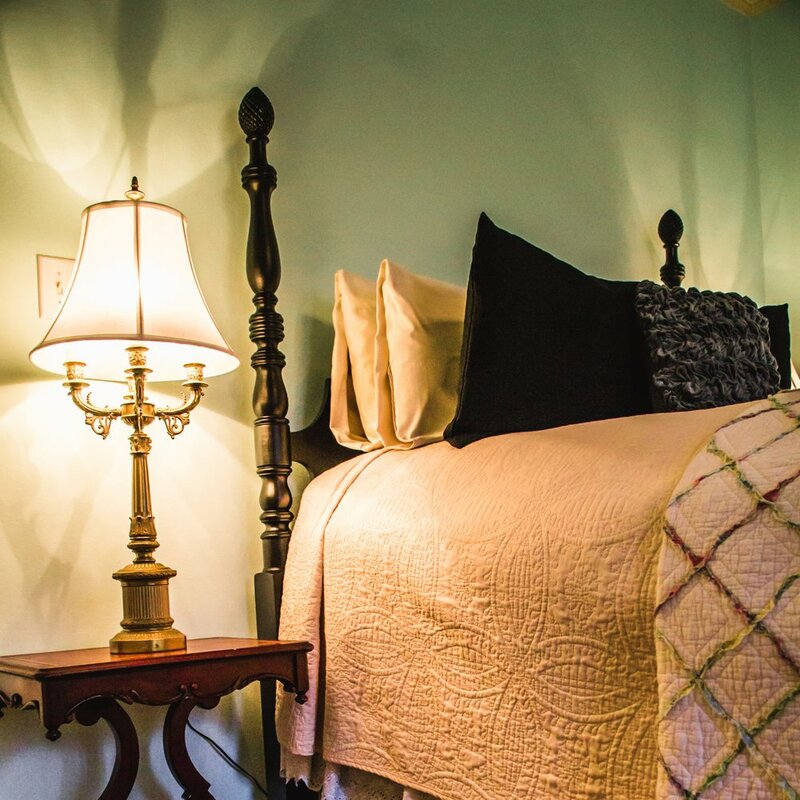 The oak flooring, grand stairwell balustrades, columns, and crown molding are all original to the house and provide part of the story to the Bed and Breakfast's Rich History. The 7 rooms in the House all uniquely range from standard to extravagant. All have private baths, luxurious linens, bathrobes, and custom bath accessories. To reserve your stay, click below on the room you are interested in.